We’ve gone globetrotting again to bring you the finest custom bikes and the brightest sunshine the world can offer. Yep, the October issue of Back Street Heroes, on sale from Thursday, September 7, is packed with stylish two-wheeled transport from the Atlantic to the antipodes. So as we’ve done all the legwork, the research, the interviews and the photography for you, why not settle back with a cuppa and find out just what we’ve been up to! The incredibly named Huxflux Nettermalm from Stockholm shows off his Norton Atlas 750 bobber and, heading south across the globe, we discover Money Pit, a Triumph in more ways than one and eight years in the making, enjoying life in the Brisbane heat. Mr Bridges keeps bike builders happy with his techy pages, there’s an update from Selina of MAG and some seaside-themed artwork from Louise Limb. 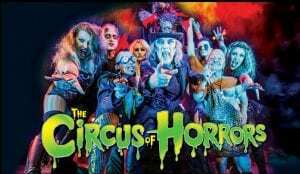 If you prefer the darker side of life, there are 10 pairs of tickets to be won for the latest Circus of Horrors incarnation, ‘Voodoo’. And now it’s over to you, after a summer series of events that saw a total of 30 top bikes being chosen for the BSH Custom Bike Championships, to select the overall winners in each of our five categories – Best Chopper, Paint, Custom, Engineering and New School – which will appear on our Custom Xtreme stand at Motorcycle Live at the NEC in November. So get voting! Your letters, latest news and products, more stunning bike builds and a host of events, plus an update on the XSR long-termer and a thought-provoking piece from Rick Hulse… there’s so much in this issue that offers food for thought.